$69. 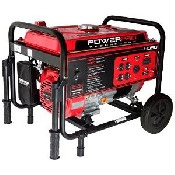 This generator can power up to two inflatables or rental items when electric outlets are not available within 100 feet. The fuel is included in this price for your event of 4 hours or less.